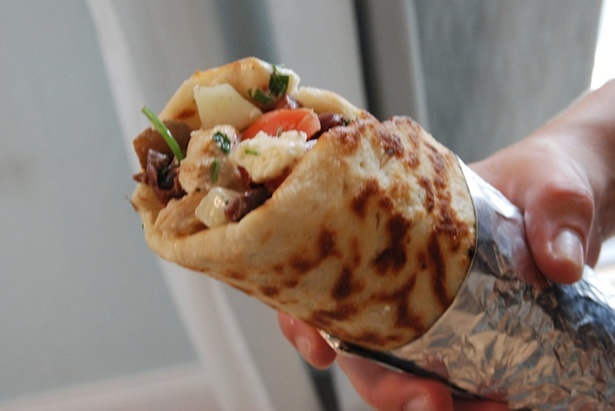 The word gyro actually refers to the way the meat is cooked on the vertical rotisserie and sliced into thin strips. 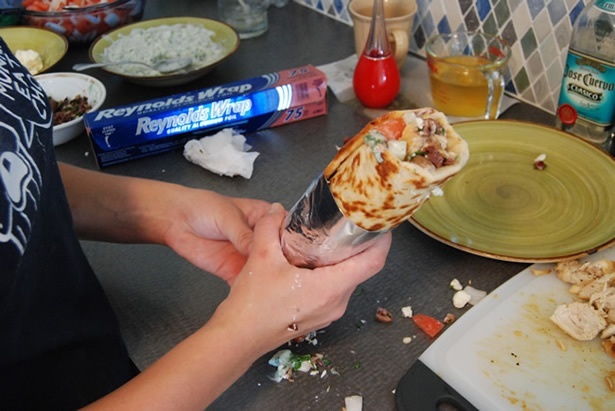 In most places in the US however, it refers to the pita rollup the meat is served to you on, and the other fillings inside. This sandwich can't traditionally be called a gyro because it is made with chicken, but I just love how the mild flavor of the chicken contrasts with the sharpness of the cheese and olives. We decided to make these when Mandi was craving olives and feta, but didn't know what she wanted them with. 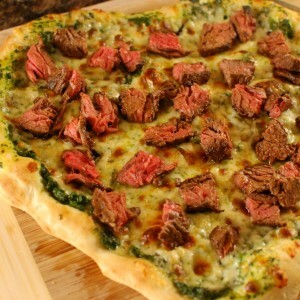 We had just made naan and loved it and wanted to make it again, and that's when I realized the naan is very similar to the Greek flatbread the gyro is served on. I loved the way these came out and the taste instantly reminded me of my first taste of a gyro not too long ago. At my last job, Mike, Bill and I would start looking forward to lunch at 9:15 AM. When we finally got lunch we would eat so much that we would often be in a food coma from 12:45 - 3 (I always wonder why that job didn't work out in the end...) One of our favorite stops was Steve's Greek on Newbury St. in Boston where I would get a gyro and onion rings. Not much choice of olives here in Bermuda. 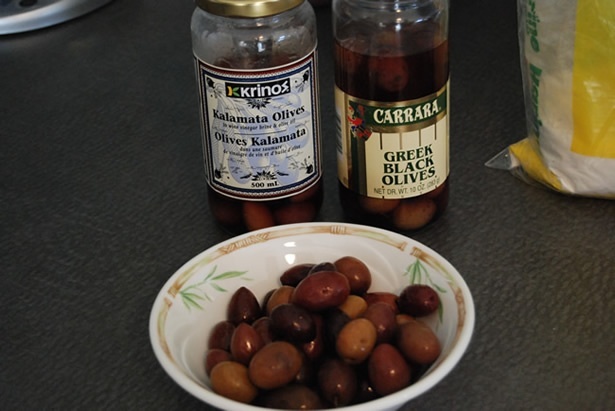 You can probably find better stuff at the olive bar at your local grocery store, or at a specialty store. I like to take the pits out myself because the flavor is better, but if you don't want to take the time or effort, buy pitted or even buy a ready made tapenade. 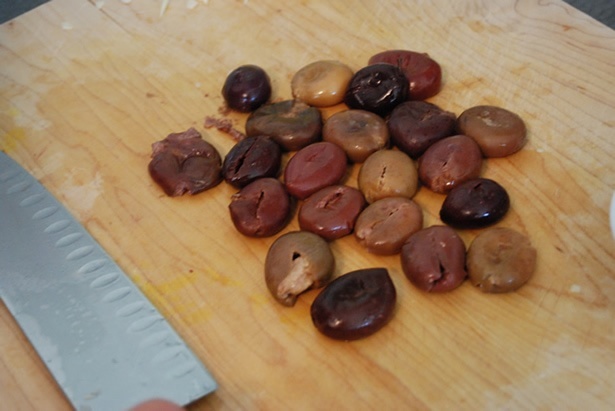 If you hit the olives with the side of your knife, the pits come right out. 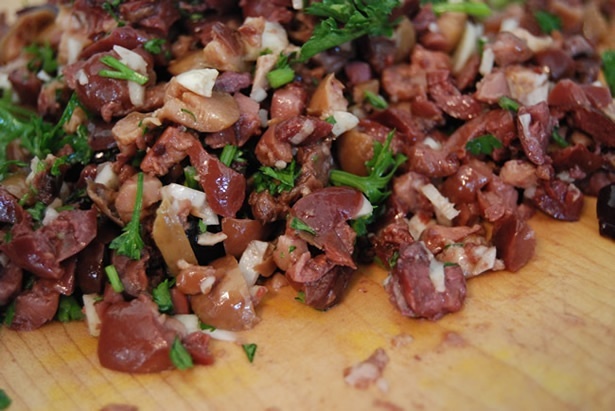 We added a bit of garlic and parsley to the olive salad or tapenade. seeds removed from everything. 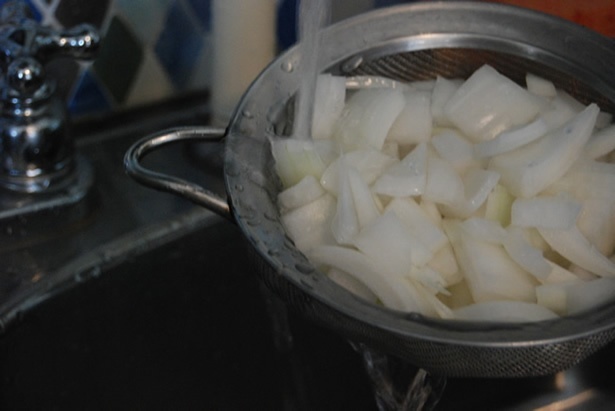 If you eat onions raw, be sure to soak or rinse them first to take the edge off. 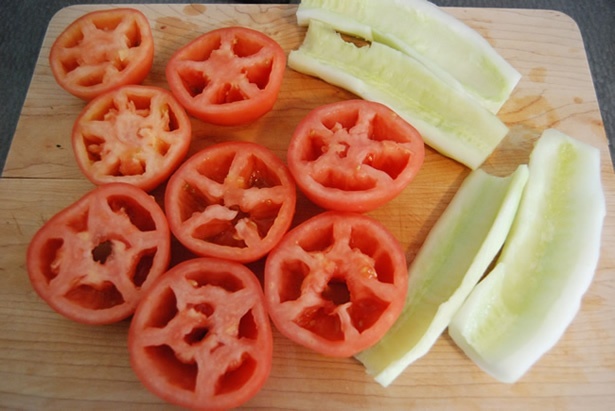 Salt and mix the tomatoes. use strained greek yogurt if you can find it. I couldn't today so I added a tablespoon or so of sour cream. 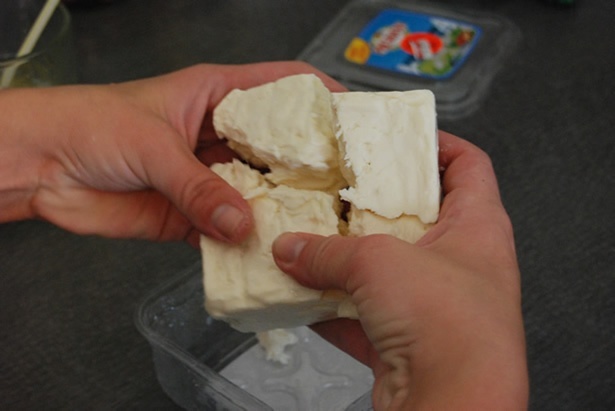 Feta tastes better if you crumble it yourself! OK. All the toppings are ready. Just salt and pepper on the chicken. Fry it up nice. Roll it up tight. Aluminum foil is helpful for this, and makes you think you got it at a subway station... Jumped off and back on the same train... Just don't get your hand caught in the door... Kramer. The Naan/flatbread: Just buy it! Or read this post and make it. 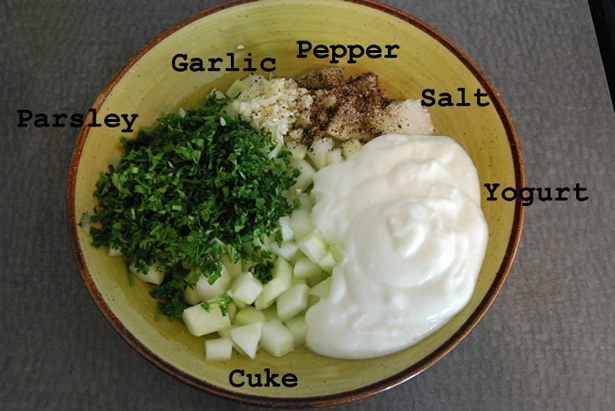 The Tzatziki: Mix Parsley, garlic, cucumber, yogurt, salt and pepper. Let sit for an hour. 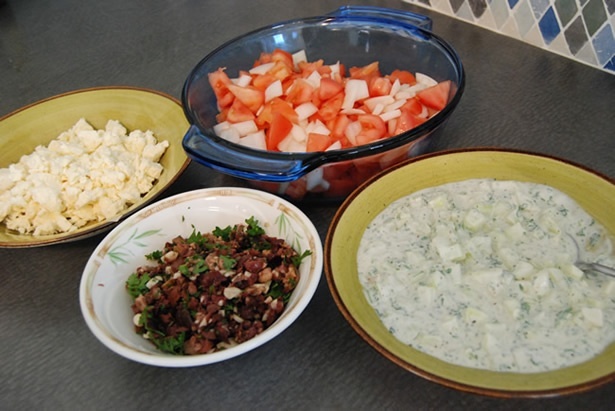 More info on Tzatziki here The Tapenade: Remove pits from 2 different types of greek olives. Dice. Add some parsley and garlic. 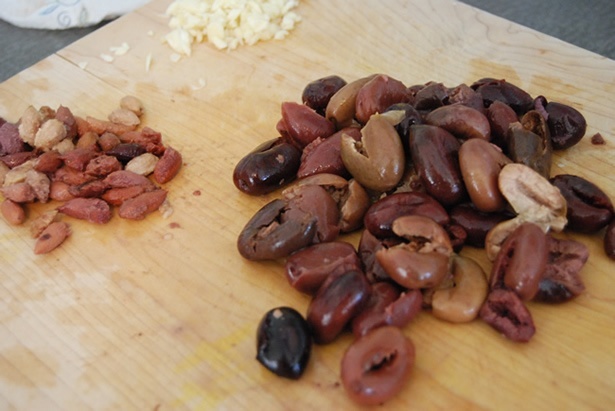 Remove pits from 2 different types of greek olives. Dice. Add some parsley and garlic. Mix the chicken with the marinade ingredients and let sit for an hour. 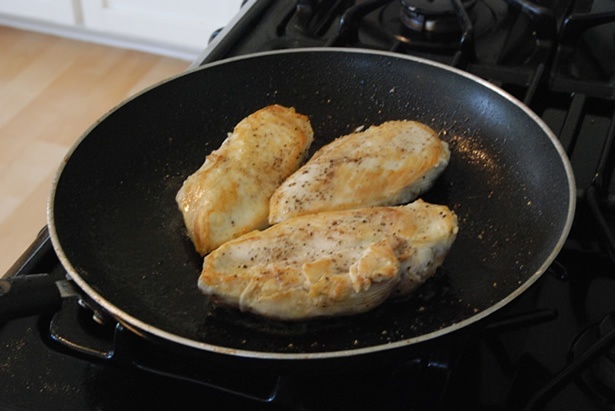 Grill or cook in a frying pan until cooked. 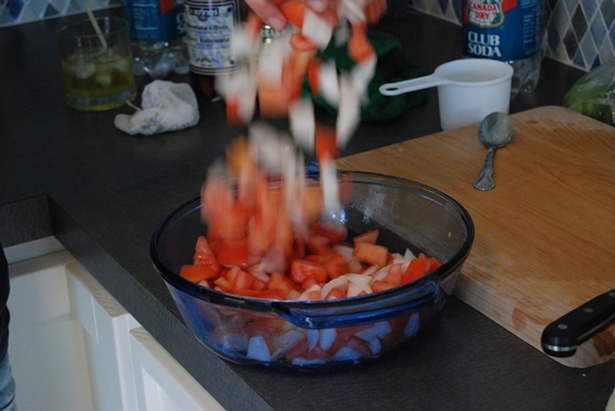 Chop the tomato and onion and get the rest of the ingredients ready to go. Build your wraps to your preference. Thanks for the tip on pitting olives. 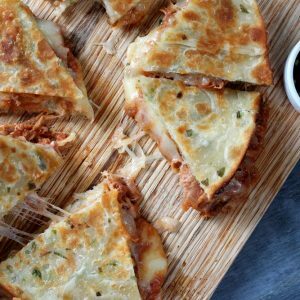 Yummy looking, had to pin you at http://pinterest.com/createdwithfire/food-ethnic/ ! Doner Kebab is the same thing as Gyros; in Greece it’s Gyros, and in Turkey it’s Doner Kebab. I think you are mistaken, these are not gyros but chicken souvlaki, gyros are made with beef and are different than souvlaki. However, these do sound like really good chicken souvlaki. Although, when I make them I marinate my chichen cubes in a mixture of olive oil, lemon juice, oregano, salt and pepper, garlic, then put it on skewers and grill or broil. Then I add my toppings on the pita bread. Very yummy, you must try it. Or serve it open, with a greek salad and rice pilaf with a little lemon juice added to give the rice a meditteranean twist. This is also served with a pita on the side. Also yummy. Actually, you are mistaken. Greek Gyros are traditionally chicken or pork, sometimes veal, and are made by roasting the meat on a spit. 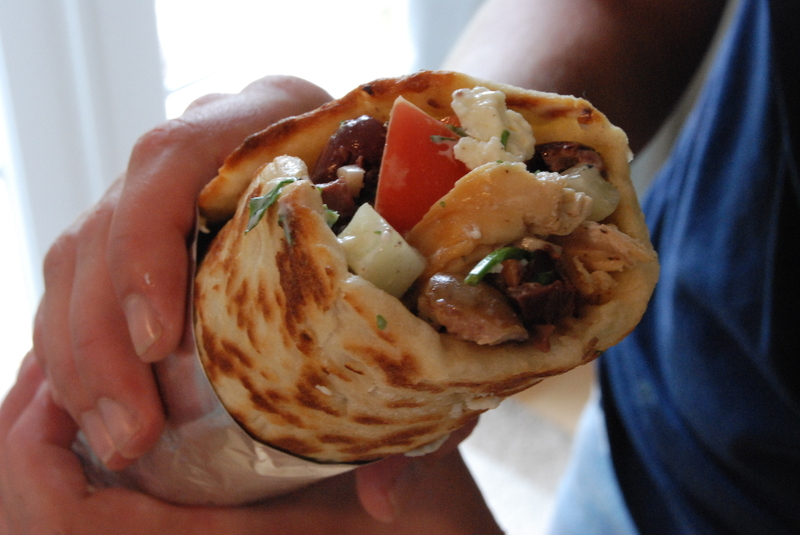 The word gyro literally means “to turn” and the word refers to the meat itself. For a gyro pita, the only requirements are meat and pita. The first gyro I ever tasted (and the best!) was in Chicago – it was made, I BELIEVE , with lamb. I was hooked for life! A couple of times the local HyVee has had a family pak thing to take home and make your own. Great! 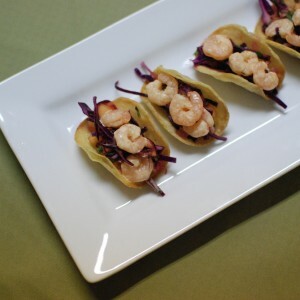 This looks sooo good – I WILL be trying it!!!! EVERYONE here is mistaken: Gyros are made from neither chicken NOR beef. They are made from LAMB. 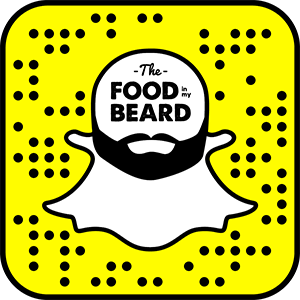 I’m not saying that this recipe doesn’t sound tasty — it does! — but it is definitely NOT gyros. I love Bermuda! Are you lucky enough to live in such beauty? I suggest making a marinade of lemon, garlic, red vinegar, oregano, and olive oil. Marinate chicken in mixture for one hour, then grill or broil. I don’t care what the correct word for these are called they look amazing 🙂 Even if some of us are misinformed it shouldn’t matter much since you gave us the recipe and tips for a delicious meal/snack so thank you! I dont see the quantities anywhere. This recipe is garbage. I have been craving this all week! Didn’t realize it was so easy! In Crete the lunch spots often had two vertical spits running – one with a lamb/beef layered and the other with chicken. The bottom of the spit was through the middle of the chicken and as you went up the chicken was speared closer and closer to the outer edge in a spiral shape until it formed the same shape as the traditional lamb. Since I was eating in the thriftier spots I usually ate the chicken because the red meat was generally fatty in those establishments. This looks similar with the exception of how the meat is prepared – I think I may try it with the rotisserie even if it is horizontal.